Three Arab dictators-for-life lost power in 2011: Ben Ali of Tunisia on January 14, Mubarak of Egypt on February 11, and Qaddafi of Libya on October 20. Now, the first Arab dictator of 2012 seems to be down: Ali Abdullah Saleh of Yemen. Abed Rabu Mansour Hadi - Yemen's new president in fact as well as in name? 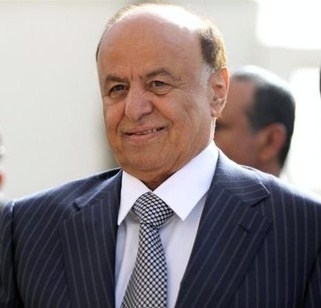 Seems because his has been a protracted and contorted process that included Saleh's resignation on November 23, elections on February 21, and the festive swearing in today of his successor, Abed Rabu Mansour Hadi. Following the "Pipes rule of Arab elections" (namely: If you know the result ahead of time, you are voting for the real powerbroker; if you don't know the result in advance, then you are voting for a position that hardly matters), that Hadi was the only candidate for president suggests he has real power. By the way, he was the country's vice president since 1994 and is field marshal of the Yemeni armed forces. But, as Laura Kasinof of the New York Times puts it, Saleh "still wields considerable influence. His relatives control most of the military and government security agencies, and it remains to be seen how independent Mr. Hadi, a longtime Saleh loyalist, will be." So, Hadi's installation might be a gambit for Saleh to retain control. We shall see.